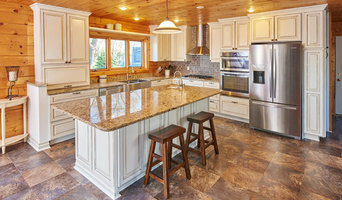 L 3 Construction is a full service design/build home improvement contractor located in Cottage Grove, MN, that excels in interior construction, especially with Kitchen and bathroom remodeling. L 3 Construction has been in business since 2010 when it was founded by Chip Evanoff who is a long time resident of the Grove, and has 20+ years experience in construction and cabinetry field. We can make your dreams a reality. 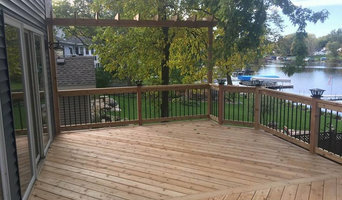 A few areas we specialize in: Kitchen Remodeling Bathroom remodeling Basement finishing Full scale remodeling Decks Painting Since it’s conception L3 Construction has been known for their amazing attention to detail, carefully designed and thought out spaces, the willingness to go the extra mile to make sure your job turns out amazing, and customer service that stands out from the rest of the crowd. Give us a call today to see how we can help make your project a success! Refined Homes is an award winning St. Paul based remodeling company serving Minneapolis and Twin Cities suburbs with an expertise in kitchens, bathrooms, upper and lower level build-outs, decks and other large home projects. Our mission is to offer an exemplary customer experience with outstanding results on every project. 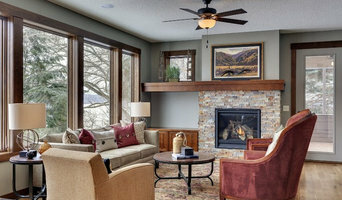 We are one of the Twin Cities suburbs' leading remodeling Company specializing solely in interior remodeling. With over 25 years experience in the construction business, you will work directly with the owner of the company from bidding, to daily site inspections, to closing. You will receive personal attention. We provide you with the quality materials and designs that you want. Quality does cost, but it also pays. We will not have the lowest price, but we will deliver a product of the highest standards at a price that is fair. Expect the same quality of work no matter what the project cost. Our subcontractors have been with us for at least 5 years. We are not looking for the lowest bid, but tradesmen who are craftsmen. Loyalty is extremely important. By taking the time to get to know you and your home, we provide quality up-front planning, design service, and exact pricing. With us working for you, you can sleep in peace. You know EXACTLY what to expect and EXACTLY what it will cost. We will walk you through the entire project prior to starting. You will know what is going to happen and when. We will answer any questions that you may have. If your project requires plans; we will work directly with you to design your projects so you can see your dreams unfold before your eyes. Country Creek utilizes state-of-the-art computer-aided design and will bring a fresh perspective to your ideas. We provide solutions that look great and function with the way you live in your home. You will receive a project timeline; so you will know when things are going to happen. You will sign off on the blueprints – ensuring that Country Creek will build your project to your specifications. Questions, they come at times. We recognize that you can’t always communicate during business hours. That is why we ensure that all phone calls and emails are returned promptly! Call us direct anytime between 7am and 9pm, seven days a week. If we don’t answer, leave a message and we'll get back to you within two hours….Guaranteed! Heritage Construction Companies LLC's mission is to protect and serve our clients with unmatched business professionalism and honesty. We strive to create work environments that are based on respect and are rewarding and fun. We will form alliances with our subcontractors and suppliers to enhance job site safety, productivity and cost effectiveness. Most important, we will be honorable. Based in Elk River, Minnesota, Heritage is dedicated to building in all of Minnesota, Western Wisconsin, Northern Iowa and into both North and South Dakota. Heritage Construction began in 2004 when Andy Christensen wanted to start a construction company that fit the needs of area businesses. At Heritage Construction, we are committed to developing and building our clients' buildings with the highest level of integrity and professionalism. We manage each project from start to finish and then beyond, providing superior service and value to our clients. Zinran Construction Services, Inc. is a full service general contracting firm capable of anything from small projects to full home renovations. We work with you, your home's style, your life style, and your budget to create the best design with superior workmanship to meet your needs and your dreams. Whether your home is traditional or contemporary, we can meet any challenge and transform your space into something that you will love and that will function exactly as you'd like. Grant Parcells, owner of Zinran Construction Services, Inc. has been in the business over 35 years. Browse the photo gallery to see what he has done and dream about what he can do for you. Call or email us to start discussing your project. Completion of your project — small or large — means time to relax and enjoy your new space! Most of our work comes from repeat business and referrals because our long term clients are very happy to recommend our work. We think you’ll agree that working with Zinran Construction Services, Inc. means your dreams have come true! We are contractors who actually care! Our main goal is providing precise, quality craftsmanship to fully satisfy the clients we serve, and to be there every step of the way on any and every home improvement project. We are licensed residential re-modelers and are fully insured. Strong communication and attention to detail are at the forefront of our focus. We are an EPA Lead-Safe Certified firm for purposes of Section 402 of TSCA, and always make it our effort to protect the environment through minimal waste and proper disposal. We are a local, family owned and operated small business that presents our clients with small town service, and big city experience. General, or construction contractors, are often known as project managers. They oversee the entire remodeling or new home construction project and facilitate all day-to-day tasks that move it toward completion. A Woodbury general building contractor will work with your architect to review plan as you build a house and ensure everything is in place before work is started as well as arrange for permits and necessary inspections. While good local home improvement contractors in Woodbury will have the skills to handle certain tasks onsite, such as carpentry, he or she is also responsible for hiring subcontractors for the majority of jobs, such as electrical work, painting or plumbing. In addition, the general contractor should be on-site regularly to inspect the progress and resolve issues. Here are some related professionals and vendors to complement the work of general contractors: Architects & Building Designers, Interior Designers & Decorators, Landscape Architects & Landscape Designers, Kitchen & Bath Designers, Specialty Contractors. Home remodeling contractors are a must for successful completion of a renovation. Because of this, it's essential that you do your homework before deciding on the right general contractor in Woodbury as you remodel or build a house. Inspect bids carefully. Was it ready when the contractor promised it? Was the bid for building a home unusually high or low? Each of these things can be very telling: A late bid may reflect timing standards, and an off-the-mark bid could be code for a pricey premium or a deliberate underbid to score the remodeling job. You should call references, carefully read reviews and visit completed projects in Woodbury, MN to see if they’re what you expect for your job. Once you do secure your local Woodbury contractors, read the contract very carefully to be sure everyone is on the same page. Find a Woodbury contractor on Houzz. 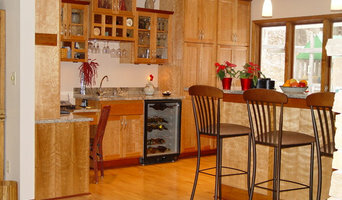 Narrow your search in the Professionals section of the website to Woodbury, MN home contractors. 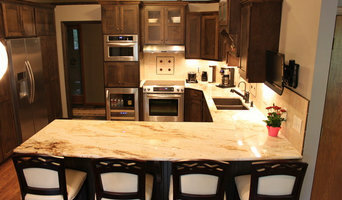 You can also search for photos in Woodbury, MN and contact the Woodbury general contractor who worked on the project.